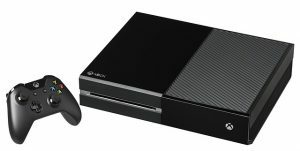 Are you feeling upset when you notice that your Xbox One sometimes turns on by itself? You’re not alone! Many Xbox One users are reporting this issue. But the good news is you can fix it easily. You should be able to fix this issue with the fixes we listed in this article. 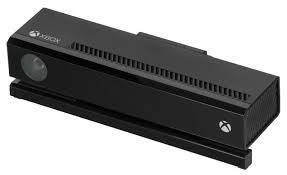 Since your Xbox One doesn’t have the physical power button, you turn it on by touching the virtual power button, which is designed to by very sensitive. Even with a slightest touch, you can turn it on. So, accumulated dirt near the power button may trigger this issue. Before you try the fixes below, the first thing you need to do is to clean your Xbox One. If you didn’t clean your Xbox One for a long time, try cleaning your Xbox One. Make sure you’ve wiped all the surface of the console, especially the surface near the power button. See if your Xbox One will turn on by itself. If not, you have resolved this annoying issue. If you’re using your Xbox One controller, this issue is also probably triggered by your controller. If you or someone else accidentally pressed the power button on your controller, your Xbox One will turn on. Try removing the batteries of your controller to see if your Xbox One will turn on by itself. If this issue persists, try the next fix. If you have a Kinect, that might be the source of your problem. As a motion-sensing input device, your Kinect can detect your motions and voice commands. If you enabled your Kinect, you can easily turn on your Xbox One with the voice commands like “Hey Cortana, Xbox On“. turn on the button next to Wake up Xbox by saying “Hey Cortana, Xbox on“. See if your Xbox One will turn on by itself again. If not, this annoying issue is resolved. If you connect your Xbox One to your TV with an HDMI cable, this issue may also occur. It is reported that some users run into this issue when they connect their Xbox One to their Samsung TV via HDMI. Every time when they turn on the Samsung TV, their Xbox One will also turn on by itself! In this case, this issue is triggered by an option named HDMI-CEC or similar on your TV. CEC (Consumer Electronics Control) is a feature of HDMI. This feature allows users to command and control the devices connected through HDMI by using only one remote control. So if your TV supports this feature, you need to disable it in the TV settings. See if this issue reappears. If this issue remains, there are more fixes for your to try. Make sure you’ve installed all the updates for your Xbox One. 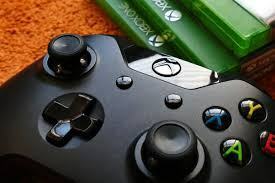 Updating the system of your Xbox One to the latest version can resolve many issues. Navigate to Settings > All settings. For console, select Keep my console up to date; for games & apps, select Keep my games & apps up to date. Connect your Xbox One to the Internet. Your console is up to date if no update is available. Hopefully one of the fixes above can help you resolve this issue. Please leave your comment below if you have any questions.